The entire communication is below. 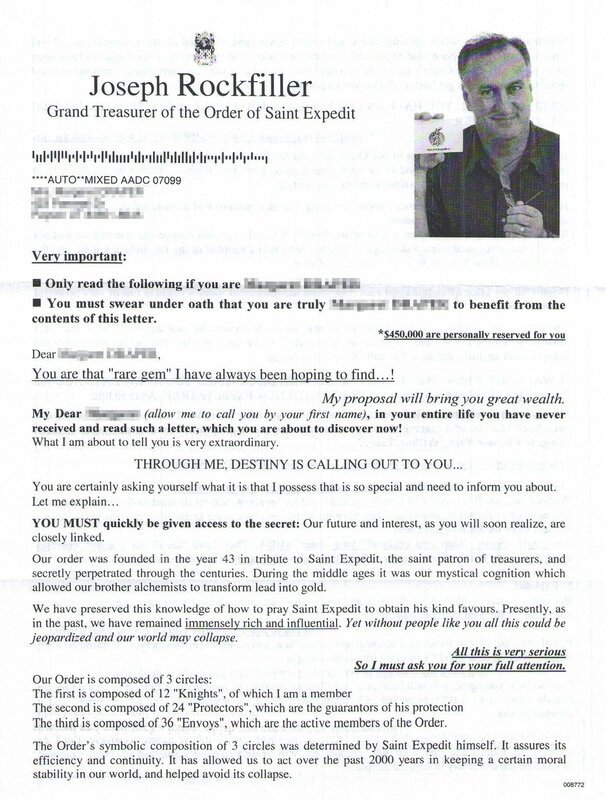 Rockfiller is without doubt a pseudonym, and the photo on the letter assuredly a model. 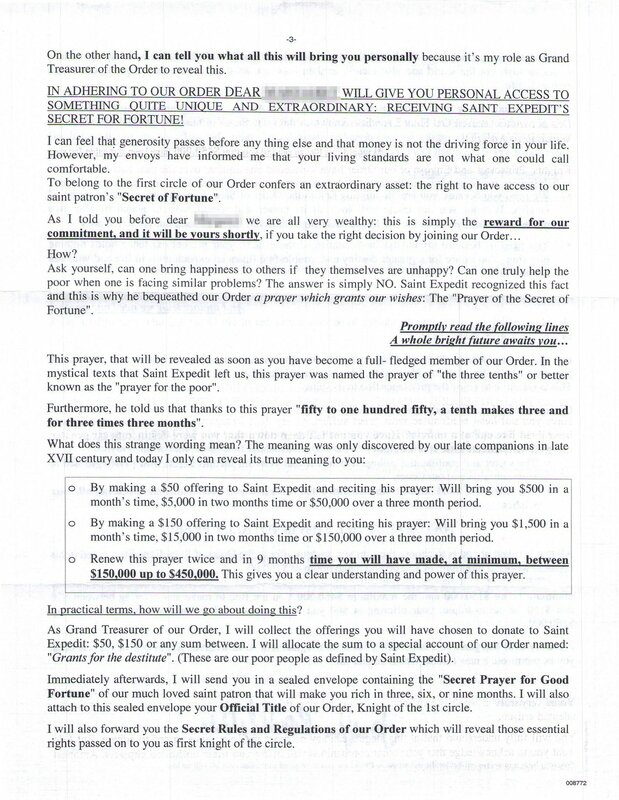 Almost everyone knows about the Nigerian Advance Fee Fraud, also called the “419” scam, but letters like the one above, mailed out to hundreds of thousands, if not millions of people, are often more likely to attract victims, because they target the elderly and the infirm, those who are least educated, and more likely to believe the camel ejecta they are filled with. 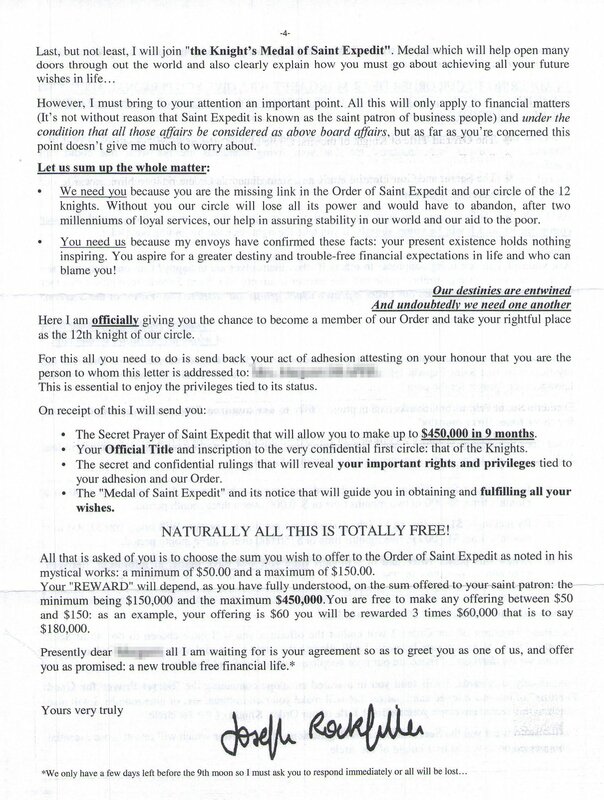 I have mentioned this kind of fraud before, on the Sweepstakes Fraud Factsheet website, specifically mentions a scammer operating under the name of “Mathias,” and the letter that arrived yesterday is exactly the same kind of exasperating nonsense. “Mathias” only wanted $30.00 to start, but this Rockfiller operation is going for the brass ring, requesting “contributions” between $50.00 and $150.00, with commensurate “rewards” awaiting the faithful who swallow this excrement. 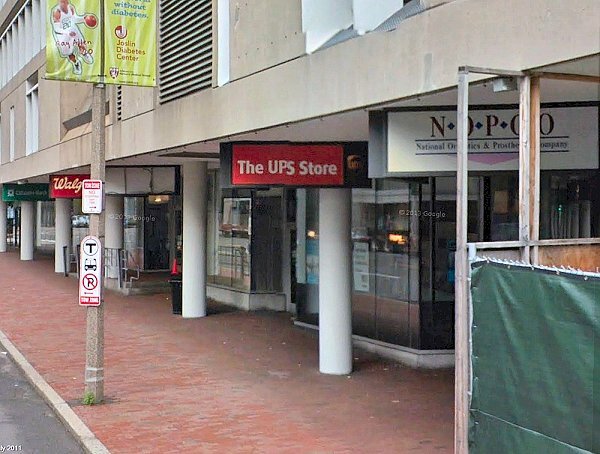 The address is a UPS store; scammers of this nature invariably use maildrops or post office boxes to try to cover their trails. One of the things about scams like this is that although they violate all sorts of laws, the Post Office doesn’t give a rat’s south-40. I’ve taken many scummy mailings of this sort to my post office, and all I get is a blank stare or a “we can’t do anything about it” answer. Seriously irritating. Whether this outfit is operating from Boston or not is uncertain – On page 2, in tiny print, are the words “Human capital SA – MH 96960 Majuro.” If you failed geography, Majuro is a small atoll in the Marshall Islands, but that business name and address appears to be a dead end, or perhaps a red herring. Screaming contradictions (“NATURALLY ALL OF THIS IS TOTALLY FREE! 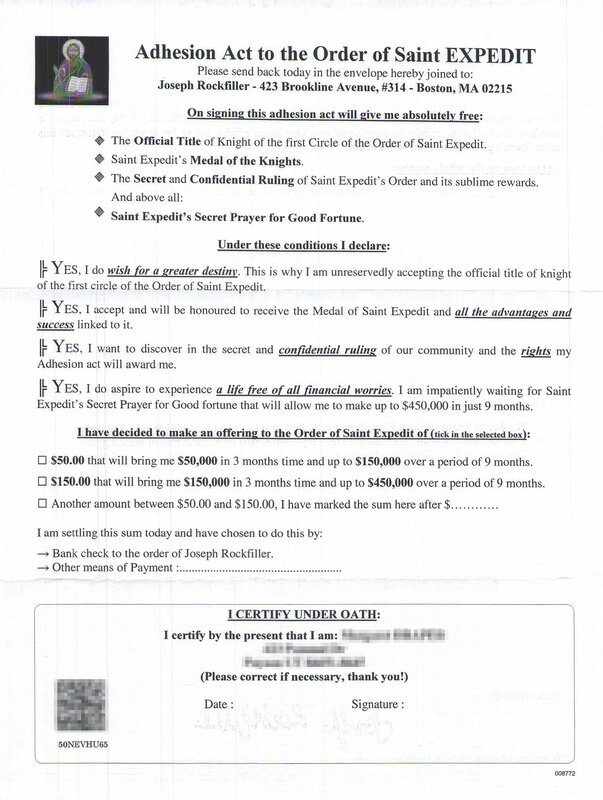 All that is asked of you is to choose the sum you wish to offer to the Order of Saint Expedit as noted in his mystical works, a minimum of $50.00 and a maximum of $150.00”). The rest you can read for yourself, if you have the stomach for it. The point of this exercise is simply to get the word out. If you have vulnerable loved ones, please monitor their mail. If they get on a “sucker list,” they will get hundreds of these solicitations and similar ones, and they stand to lose their money, their identity, and their dignity. We’ve gotten this kind of mails, too. It will never work on my parents. They are too suspicious, and will never part with their money for stuff like this. Thanks for sharing this. Thank-you very much, and I appreciate your effort of exposing these frauds. 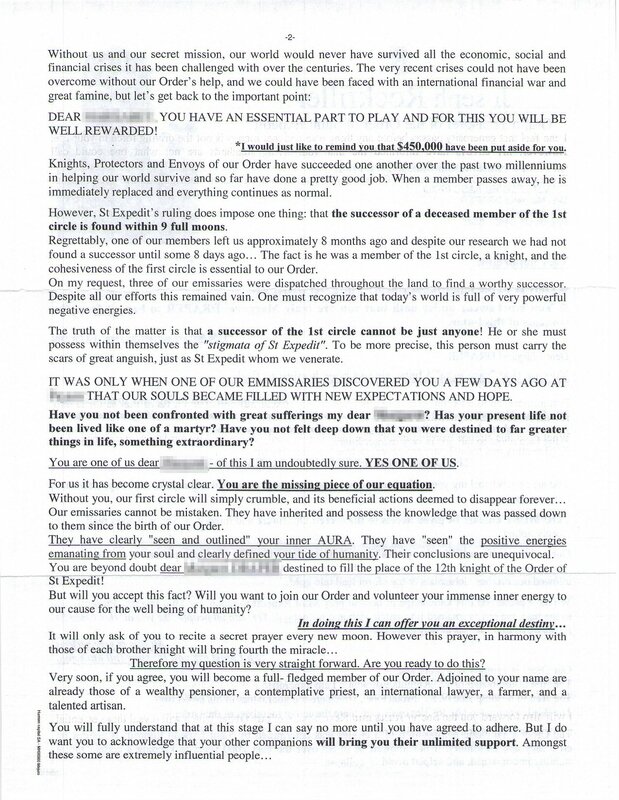 reading this letter, when the thought came, I better check this out on Goggle. few more choice – words, which I am not aloud to use. etc.\ By the way, this is Richmond BC, Canada, Westcoast!!! address. Anybody out there has an answer to this. Unfortunately, addresses are easy to scrape from multiple places and databases; many companies are not scrupulous and sell their customer lists to lowlifes like this. And yes, I’d like to see regular broadcast notices about scams like this for the many people who don’t use computers.